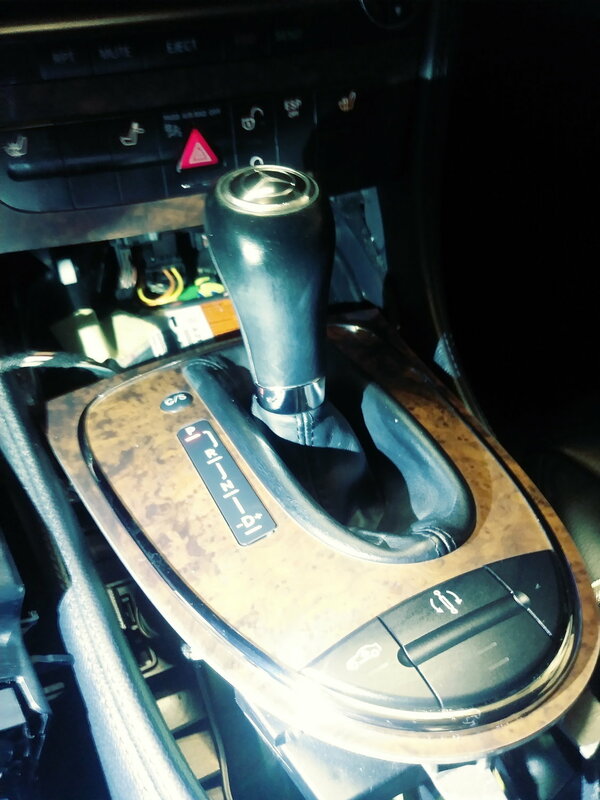 The purpose of this thread is to gather in one place all relevant information regarding "upgrading" to an android head unit in the Mercedes w211/w219 chassis. Over the next few weeks, I will be assembling various information such as reviews, MB world threads, and anything else I can find. Please chime in if you have questions, comments, or suggestions. Ultimately, I'm collecting this information to determine if I will do the upgrade or not. For the community, I hope this helps as a learning guide. How do I know if a given Android Head Unit fits my vehicle? 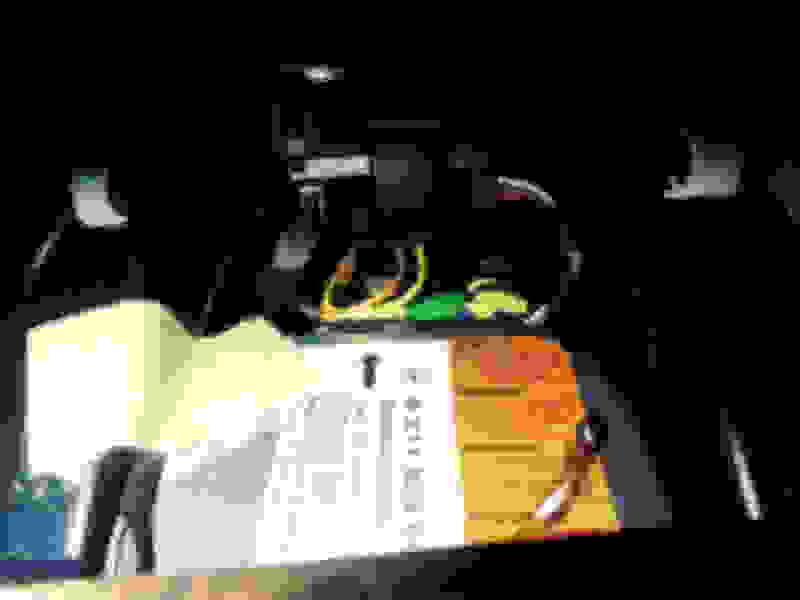 What are the plugs and harnesses on the back of the OEM head unit? Do I even need a fiber optic adapter? What are the pros and cons of the of the plug and play adapter and the long cord going to amplifier in the trunk to connect Fiber Optics? What are the options currently on the market, and what are the respective pros and cons of each model? Are Android head units only made in China, or are there models available that were produced in the US? What w211 or w219 owners have installed the Android head units DIY and how do they like them? What are the steps required for the install and what tools are needed? What are risks and trade-offs of the upgrade? What are pros and cons of Android Head Units available online and what is this going to cost me? Do I necessarily need to spend more to get a better head unit? Should I do this mod? Question: Will this work with my Mercedes 2006 cls500 (w219)? Answer: It's a hit or miss case: I installed the same unit on my 2005 E500 (w211) and it worked fine. I purchased another for my 2006 CLS55 (w219) and it didn't. This is a good video on how to install an Android Head unit in a w211. About mid-way through the video, the author shows the fiber optic plug and the required adapter. I’m not sure yet the brand of the adapter, but I will report back later. The later part of the video gets a bit overwhelming. Apparently the most reliable method to connect the fiber optics is with this cord going to the amp in the trunk. Honestly, I cannot even find the amp in my trunk. Once I find it I will update my post with pics. One question is whether our cars necessarily have fiber optic? In my w219, there is no phone or nav, so could it be that I do not have to worry about the fiber optic plugs? Once I take apart my OEM COMMAND Head Unit, I will identify the plugs to figure it out. This webpage shows how to install the Android head unit on a w211 and emphasizes identification of fiber optic plugs. In one pic, the actual fiber optic plug is shown. Another pic the orange plug in the trunk is depicted. This YouTube video is useful because it shows all the cords and adapters that typically comes with an Android head unit. It also shows the fiber optic adapter. Section Summary: The challenge with the Android Head unit is finding the correct adapter. Almost all our cars have fiber optics, but apparently some cars do not. If you have fiber optics, there are 2 choices. The first choice is using the cording going to the trunk. According to one website, the plug is a bright orange color in the trunk. The fiber optic plug in the dash area has 2 big round holes, as shown in other pics. Removing the OEM head unit requires removing the ash tray and cd changer, which is held on by 2 torx screws, which I believe are a T10. Then there are 2 other screws holding the head unit, and once removed it should slide out. The next section will show actual pics of my car and determine if I have fiber optics and where the cords are located. I’ll also take pics to show how I removed the head unit. The pics below show my head unit taken apart. Even though the DIY videos say this is "easy", be prepared to be frustrated the first time. Sadly, I *think* that I located the fiber optic plug. It's the orange one in the pics. So if your car has this plug, you have the fiber optics and need the special adapter. Pay close attention to the orange wire, since it leads to the Fiber Optic Plug. Unfortunately the plug on my car is cearly fiber optic. Sigh... It was a PITA taking everything apart the first time. A couple hours. But I suspect the second time it will only take 15 minutes. At this point, if you see this plug we can be fairly certain that the Fiber Optic decoder plug is required. Xtron sells these converters for about $100, but some reviewers on Amazon indicate that they do not work at all which is troubling. Furthermore, one seller on ebay indicated that if you have Fiber Optics then in addition to the converter, you need to also buy a power cable, radio antennae, and a radio antennae adapter. Very confusing! I emailed the seller for clarification and I will report back when and if they respond. See the pic below. If you have Fiber Optics then in addition to the converter, you need to also buy a power cable, radio antennae, and a radio antennae adapter. Very confusing! It appears that virtually all the Android head units for our cars are made in China. That means interaction with the seller could be more challenging, as well as returns and instructions. However, there are two companies that sell our head units in the US. First, the company Dynavin is a German company with a North American supplier. Their products are the most expensive option. Second, the is Avin, which is the only American company I have been able to find. Both are discussed later. Features and Other Considerations: Include Bluetooth, GPS Navigation, AM/FM radio with data system, Dual Zone and Steering Wheel Control, Mirror link Airplay functions, etc. One question is whether the GPS works offline or not. I have noticed that some reviewers of other units have indicated that you must be connected to WIFI to use GPS which is very inconvenient. I am emailing the seller and he/she indicated that the GPS does indeed work offline. Overall: Given the low cost, this unit seems like it could be a good option if GPS is supported offline. However, the lack of buyer feedback on Amazon is obviously a concern, although the nice thing about the website are the easy returns. I also do not see an option for the fiber optic adapter, only the cord going the trunk. The large screen and relatively low price are what caught my eye. The lack of information provided by the seller is a concern. Overall: This unit is inexpensive and seems to look nice installed. The mixed reviews and lack of information is a concern, but since returns are easy on Amazon this could be an option. Another way to go with the Android head unit is with Dynavin. This is a German company and makes the head units specifically for German cars. This would probably be the most reliable and low risk option, but it also costs almost 3 times the Chinese models. On the other hand, this unit comes with the fiber optic connector saving you between $100 and $130. Features and Other Considerations: Includes all standard features of Chinese models. Overall: This is clearly the lowest risk option with the highest price tag and is likely the highest quality. Amazon reviewers also gave this product 4.5 stars. It is also worth noting that the user manual is almost 100 pages long, suggesting a more reputable company and better engineering. The seller on Amazon also claims that they are the official distributor of North America for Dynavin. The question is whether it is necessary to spend so much more money, and are Chinese units essentially the same thing? Here is another cheap option, but the consumer reviews are troubling. Of the 2 reviews, both suggest that there is poor radio reception and the Bluetooth is not good. Features and Other Considerations: Appears to have all the features of the other units. Overall: The question here is whether the reviewer’s opinions are representative of all people who bought this radio. Probably not, and I suspect it is a descent unit at least compared to our antiquated 12-15 year old systems. It would just be a heartbreaker and do all this work on the install and research to find the wrong head unit was purchased just to save a few dollars. There are several other options on Amazon that are mid-priced. I honestly cannot figure out how they are different, and if they are better or worse than the less expensive options. Overall: it is hard to distinguish among the medium priced units. They all look the same and have the same product information and none have consumer reviews to justify the increased price. This unit is available from the Chinese company Seicane. It has a big and beautiful 8.8” touch screen. The price is also higher than most other units, not to mention that a $129 adapter would be required for cars with Fiber Optics. Overall: This is a huge touchscreen Android Head unit. That being said, this unit would not retain the factory look. It is also tied for the most expensive unit when costs of the fiber optic connector are considered. The website has a lot of very useful information and seems responsive in answering consumer questions. There are several other models from this company available but they all seem to have about the same features. Overall: This company does a good job describing products and seems like they are responsive to customers. Since they are not sold on Amazon, however, product returns could be more challenging. This is one YouTube video of an unboxing of a Seicane unit where the individual seemed to be very happy with the product. This model is made by Avinusa.com, and is the only domestic supplier that I have found. Overall: Avin appears to have solid customer support, which is key for the DIYer. The price is also substantially cheaper than Dynavin, although you'll need to buy the fiber optic adapter ($100) and offline maps ($50) with the Avin unit. Overall, aside from Dynavin and Avin it is very challenging to determine which Android head unit is “better”. They all seem to have the same features, and the only observable difference aside from slight cosmetic differences is in terms of price. The prudent course of action seems to be emailing several sellers with thoughtful questions and carefully read their responses. Or just roll the dice and do it! 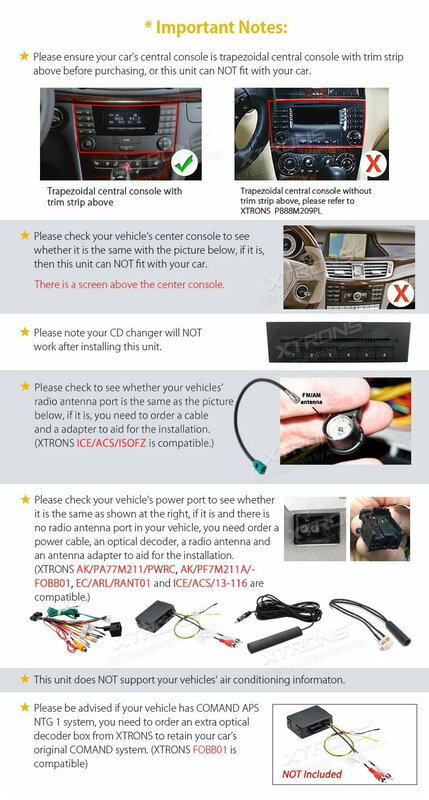 Section Summary: There seems to be a couple routes to buying an Android head unit. First, you could go through Amazon and buy the less expensive units and just return the item if needed. I’d probably first check the sellers return policy before making this assumption. The second route is Dynavin, which appears to be the most reputable as well as expensive and would maintain the factory look. Avin has lots of promise, being an American company offering technical assistance and not that expensive. I seem to have gotten away with myself with this thread, so I will try to be brief and close it out and answer the questions above. Most reviewers love the Android Head units, but we only have handful of videos online to make this determination. There could indeed be scores of unknown people that are frustrated and/or disappointed. Amazon reviews, although not very many, may suggest these challenges with this upgrade. We just really do not know given the sparse information. 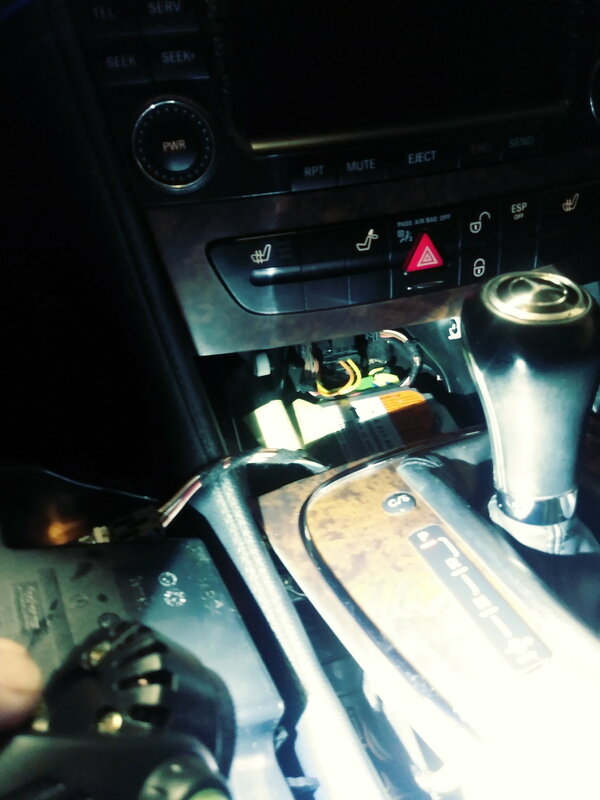 In order to install the unit DIY, you have to first disassemble the your shifter console, ashtray, climate control, and radio. It is not easy but very doable. There will be a Fiber Optic plug that you will need to identify. There will also be several plugs, of which I am not entirely clear, based on the DIY videos. There is a farkra antennae plug, main head unit plug, canbus plug, and Fiber Optic plug. There are 2 methods to connect Fiber Optics. First, a decoder is available that allows all the connections to be made in the cabin. These adapters range between $100 and $160. Some Amazon reviewers indicate that they do not work at all sometimes, which is a big concern. Then there is the long cord to the trunk to connect to the amplifier which seems to be the most reliable method. 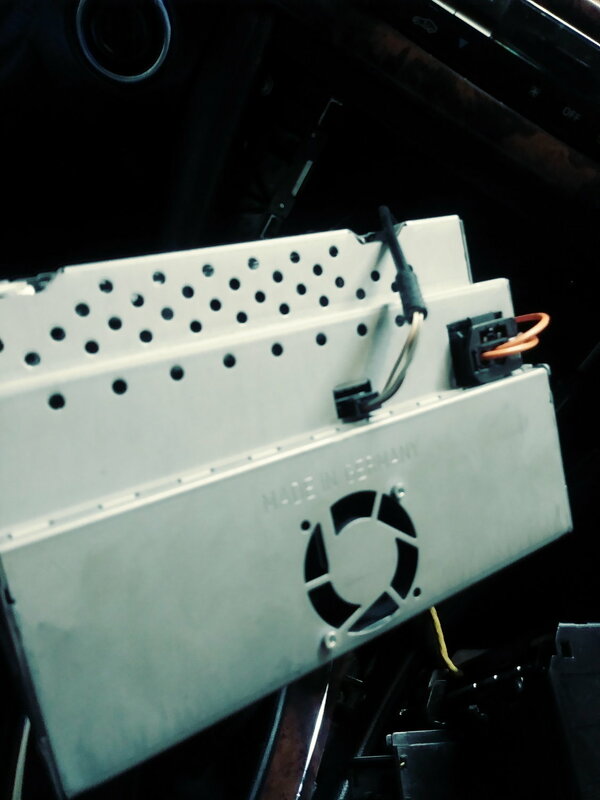 I have taken apart my trunk many times on different projects and I honestly cannot find this amplifier, but maybe I was not trying hard enough. I'd say the there are definite risks to this upgrade. Some reviewers on Amazon have suggested that the sound is compromised after the install. Others have said that the in-cabin fiber optic adapter does not work at all. Getting technical support from China could and will almost certainly be a challenge. Some designs also do not look OEM, which may not be what some Mercedes owners desire. Now to break down what all this will cost if DIY. All the Chinese units do not come with an fiber optic adapter, which is at least $100, and as high as $130. The cord to the trunk is about $60. So let's assume it costs about $100 to hook up fiber optics either way. That being said, the least expensive Chinese unit is about $350 (i.e., adding in $100 fiber optic adapter). This large Seicane unit is the most expensive options at about $650. Now to discuss the Dynavin Android head unit. It is $799 including the fiber optic adapter. In reality, the unit would only be a few hundred dollars more than the Chinese units. There is also the consideration that the unit is distributed in North America, appears to have good customer support, and is the only head unit on Amazon that has 4 or above stars. You may or may not have to pay more to get a "better" product in this case. The issue is risk. If you want to have lower risk and pay more, the Dynavin may be for you. If you think you can pull off the install, your reward may be a shiny new Android fun system for only a couple hundred dollars. At least for my case, I am leaning towards the Dynavin. There is just so much uncertainty with the Chinese units. However, I have yet to make a decision. Well, I hope you all enjoyed this post and maybe learned something. Please contact me with questions or comments. I'll update the post later when I decide what to do. Last edited by LexBrett2; Yesterday at 09:37 PM. written like a scholarly research article. good job. keep thread updated. if you have the IPod connector in your glovebox. Seems way simpler than changing out the head and fiber optic cables etc. The goal is to determine the best Android Head Unit for my w219 and remove the boring OEM COMMAND. My car doesn't even have GPS on the head unit. I'd love to have GPS as well as Bluetooth, mirroring, etc. 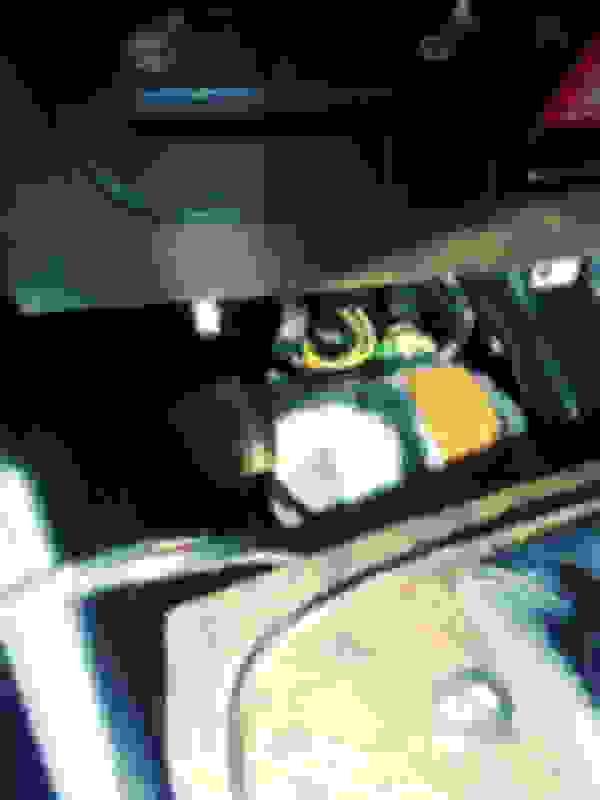 Currently, I do have a Bluetooth connection that is wired through my glove box. I'll look at your suggestion closer I decide not to proceed with Android head unit. Have a great day! Last edited by LexBrett2; 04-19-2019 at 12:22 PM. Great and timely post. Just ordered the Xtrons 8" android navigation with 4GB RAM and OctaCore PX-5. Most of the mid priced examples are differentiated by tech specs. I see 2GB quad core models going for the same price as 4GB octa core. Also, the large 8.8" Seicane unit has only 2GB of RAM and non IPS. I am concerned about the larger screen without technical performance capability. I can send you the specs and links to all the various units I've come across and we can create a spreadsheet. Seems the only real differences are with screen size, resolution, RAM, Storage Memory, Processor and Android Version. This unit has a custom UI skin over Android 8. Has more of a general OEM look rather than stock Android. OctaCore PX-5 processor. 7" 1024x600 IPS screen. 32GB Storage. Couldn't find a video for a the w219 radio but I have included an overview of one for a WRX. Here is a 6-month reliability review. Very nice!! Are you planning to install it yourself? Did you buy the fiber optic adapter?? Did you buy the optical decoder and 3 other items suggested by the seller? Have you taken apart your head unit yet and looked at the plugs? That would be fun to collaborate on the spreadsheet. I may buy the same xtron that you purchased. Last edited by LexBrett2; 04-21-2019 at 08:16 PM.